PT Bahana Securities - Bahana Securities is a well-established financial services company in Indonesia with core competencies in securities and investment services. Headquartered in Jakarta, Bahana Securities engaged investment banking, securities brokerage services, and capital markets. Bahana Securities also offers services in mergers and acquisitions, equity brokerage, trading, risk management, structuring, and research. Bahana Securities is an active member of the Indonesia Stock Exchange (IDX) and registered under code DX. PT Bahana Securities is a directly-owned subsidiary company of state-owned financial firm PT Bahana Pembianaan Usaha Indonesia (Persero) or Bahana Group. At present, Bahana Securities is 99% by Bahana Group and 1% by the Employee Cooperatives of BPUI Group. Bahana Securities now has 2 office networks in Jakarta and Surabaya. 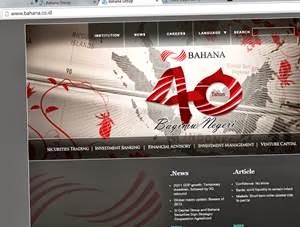 As of June 2015, Bahana Securities supported by 112 employees. According to Bahana Securities financial report 2015 (30 June 2015, unaudited) as cited by JobsCDC.com, Bahana Securities booked total revenues of Rp 75.90 billion in the first half of 2015 (unaudited), or down 69.34% from Rp 128.54 billion in the same period at 2014 (audited). Bahana Securities recorded total comprehensive profit of Rp 6.58 billion in the first half, down from Rp 34.78 billion from the same period last year. Male/Female with minimum background in Bachelor degree (S1). Have maximum 2 years of working experience. Fresh Graduate are welcome to apply. Have experience in Investment Banking (Internship / Competition). Possess certification in financial-related is preferred. Strong persuasion, communication and interpersonal skills . Adaptive and fast learner . JobsCDC.com now available on android device. Download now on Google Play here. Please be aware of recruitment fraud. The entire stage of this selection process is free of charge. PT Bahana Securities - Management Trainee Investment Banking Bahana Group December 2016 will never ask for fees or upfront payments for any purposes during the recruitment process such as transportation and accommodation.